ABC Commercial is heading to MIP Junior with a new and unique children’s animation, A CAUTIONARY TAIL (1x 14’ HD). Chosen as a finalist in the MIP Junior Kids Jury (7-10 year old category), it is a magical story about a girl born with a tail that expresses her emotions. As a child, her parents celebrate their daughter’s uniqueness and her tail inspires magical make-believe adventures with her friends. As she grows up, however, the young woman faces pressure to fit in, and must choose between conformity and self-expression. 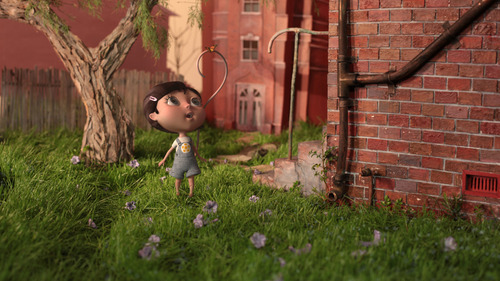 A CAUTIONARY TAIL stars an acclaimed line-up of Australian actors – Oscar winner Cate Blanchett, David Wenham and Barry Otto – and uses a striking collage of 3D animated characters and exquisite hand-made miniature sets to tell the story. A CAUTIONARY TAIL is produced by Pauline Piper of Rawr Films, written by Erica Harrison, directed by Simon Rippingale and executive producers are Will Alexander and Renata Cooper. ABC Commercial holds world-wide distribution rights to the program.